The water and dirt resistant Leukoplast Barrier Professional Plasters Assorted Sizes (Pack of 20) offer protection against infection and contamination creating a barrier while you wash or shower. This comfortable, breathable plaster provides two-way protection against bacterial contamination whilst remaining latex free. The durable Leukoplast Barrier is ideal for cuts, grazes, lacerations or abrasions. The robust and durable nature of Leukoplast Barrier Plasters means they are ideal for the daily living. The water repellent design utilises strong adhesive to retain integrity and a comfortable fit. The robust and highly breathable Leukoplast Barrier Plasters offer resilience and adaptability in a variety of functions. 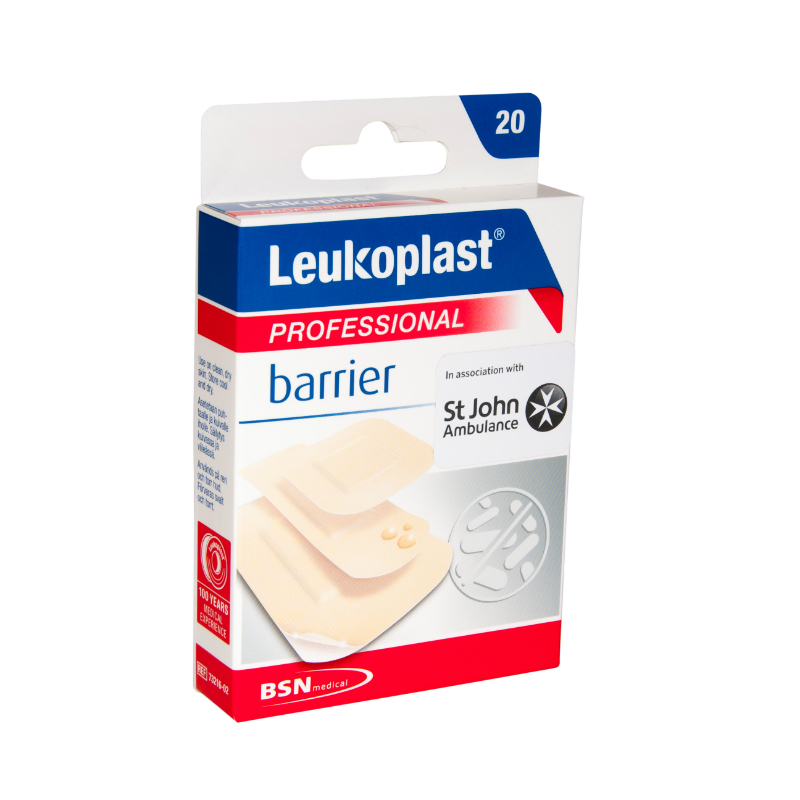 Durable in a range of settings from the home, to work, to the garden, Leukoplast Barrier Plasters are a useful addition to any first aid kit. Please note, Medical Supplies is dedicated to maintaining the highest levels of hygiene for all of its products and for this reason this item is non-refundable and non-returnable if unsuitable or unwanted on grounds of hygiene. If you have any questions regarding this returns policy, please contact our Medical Supplies Customer Care Team on 020 7501 0593 for further details. 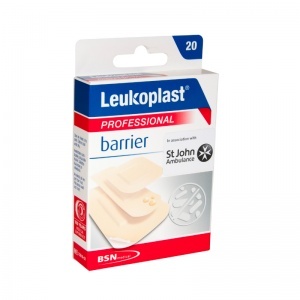 The Leukoplast Professional Dirt Resistant Barrier Plasters Assorted Sizes (Pack of 20) is usually dispatched via First Class Royal Mail and delivery should be within 1 to 3 working days.